History of C.A.N.E. - C.A.N.E. 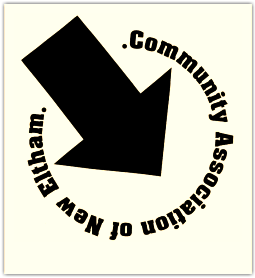 COMMUNITY ASSOCIATION OF NEW ELTHAM C.A.N.E. The ﻿Community Association of New Eltham began in 1996 as a result of the library here in New Eltham being refurbished. The new library facilities did not require all the rooms in the building in Southwood Road and so Greenwich Council approached the residents of New Eltham and asked if they would like to manage two rooms as a local community centre. A steering committee was formed and then took a year to get the views of local residents, get their commitment, build a constitution and agree a lettings policy. So, on October 8th 1996 at the inaugural meeting, a committee was voted in place and the Association was born. Now, twenty two years later and after building a kitchen (which was extensively refurbished in December 08), storage cupboards, two additional toilets, improving the storage capacity, adding vertical blinds and redecorating the rooms annually - this is your community centre. The Association was at first run completely by volunteers. We do not receive any grants from the council, but do get rate relief. We also pay rent to the council each quarter from the money we generate by letting the rooms. At the 2001 AGM a decision was made to take on a part time Community Centre Co-ordinator to manage the day to day running of the centre and improve the type and number of activities we offer. We raise our income by hiring out the rooms to event organisers, so that you can come along and enjoy what's on offer, see the regular events page for details. The committee also arrange events which are aimed at all age groups. A list of these activities are on our special events page. We operate a Coffee Shop, which is run by a small group of volunteers who are organised by Mrs Anne Read B.E.M. It offers a warm place to meet up with friends and enjoy a cup of tea or coffee for as little as 40p/50p respectively. For opening times see the regular activities page. C.A.N.E. has been successful with three grant applications. Firstly, as a result of the IT equipment on site, we ran a "Gain Confidence to Approach the Job Market" course with a grant from Fastforward and Greenwich Neighbourhood Renewal. This helped twelve local people who were unemployed brush up on their I.T. and interview skills, to approach the job market. As a result of this, 2 people gained employment using their new skills. The second grant was from Awards For All. We received money to purchase two short mat bowls mats and equipment. We now have 3 sessions each week with people using this equipment. The third grant came from "Partners in Time" aimed at improving the facilities for both the elderley and young families. In 2009 Mrs Evelyn Green was awarded an M.B.E. for her voluntary work. She has been a committee member and trustee for C.A.N.E. since 1996 and works tirelessly for The Sunshine Club in New Eltham. In 2013 Mrs Anne Read was awarded a B.E.M. in the Queens Birthday Honours list in June for her voluntary work, particularly as the C.A.N.E. coffee shop co-ordinator. She also arranges our Afternoon Talks and Tea Dances and makes the cakes for these events and the cake table at our fairs and fetes. In 2014, Mr John Killick, the C.A.N.E. secretary gained a civic award from the Royal Borough of Greenwich for his work at C.A.N.E. for the local community. John was on the steering committee that set up C.A.N.E. in 1996 and has been working ever since. On 5th June 2016 C.A.N.E. hosted a lunch for over 80 past and present volunteers to celebrate being 20 years old. A few of those present were here right from the beginning, including John Killick, C.A.N.E. secretary and Anne Read C.A.N.E. coffee shop coordinator. A good afternoon catching up with old friends. For more information about C.A.N.E. please contact Sue Killick on 020 8850 7122. You can get involved in this successful Community Centre. Volunteers are always required especially for our Coffee Shop. If you would like to become involved with this please call Sue on 020 8850 7122 between 9.30am and 2.00pm any weekday except Wednesday.